Are you the owner of a shop which sells fast food? Or are you simply somebody who just loves fast food? 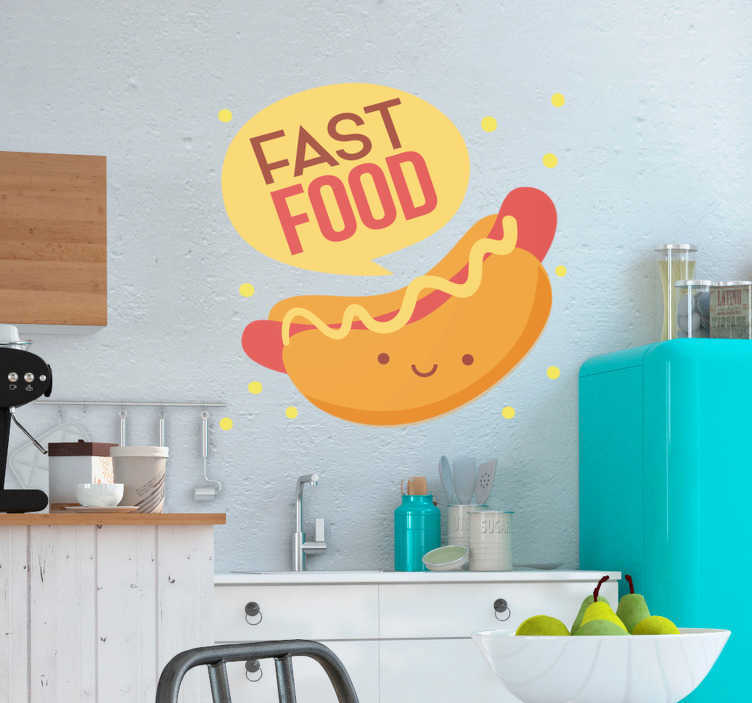 Whatever you are, if you are looking for a fast food sticker with which to decorate any surface, then this food sticker marks the end of your search, because it is what you are looking for! Choose your size and consider buying now! Text and speech bubble can be removed on request.